Due to waterlogging of the race course, this year's Round the Walls Race was shortened to 5k - Chris Smithard reckoned he did a 5k pb despite the climb and steps on the walls to finish 3rd in 16 mins 25 seconds so his training must be working. First 2 had opened a 20m gap by 1.5k with Chris a clear 3rd and that's how it stayed all the way. An elite squad w/e focused on sprint O is on the first w/e in January with a week in Portugal in February for Dave and Chris training and racing also planned - thereby missing our winter w/e and CSC heat. A 'truncated' DEE junior team of 13 just missed out on a top 5 placing in this year's final of 11 clubs down in SARUM-land. Illness, injury and other more pressing matters meant 5 possible counting juniors couldn't make it but the results show that those who did performed well with Chris Owens and Lachlan gaining 2nd places, Hannah Hateley 4th, Rosie and Michael Landon both 5th and Sas Jones 9th in the top 10 of their classes. Helen and Evelyn Elmes and Katie Wilson completed our 9 counters with the others not far behind. Thanks to all those who made the trip down yesterday. Bristol won, knocking OD off the top for the first time for years with Lakeland 3rd. Next year a change in timing means that the NW heat is on March 10th with the final at Grantham on July 7th. Following a little more consultation in October/November, the Elite Development Squad has re-appeared on the BOF website and still great news for DEE as Chris Smithard and Dave Schorah are still in the Elite Development Squad following their great performances this year. The number of men in the EDS has risen from 12 to 16 with several TDS members moving up. Prior to the UK Cup final in October, Dave was leading the competition with all 8 counting results in the top 8 but, with the Final counting for everyone in addition to the previous 8 best and Dave not runnng, he dropped down the rankings. Chris had not completed 8 races due to injury so was also placed further down but timed his effort in the Final to finish 2nd in the Final after running in a 3 man group behind Murray Strain in the mass start race over 10.6km. With Liz Campbell now appointed as the squad coach, they have had 2 weekends already and details of these are now appearing on the BOF website news pages. Chris had a great run at Bethecar on the extended squad course finishing 3rd, 3 minutes down on Doug Tullie over 16km. Former DEE member Rhys Findlay-Robinson, currently holidaying/working in New Zealand, has persuaded BOF that he is fit enough to run for GB in the World Cup races in NZ in early January. Not much recent orienteering so we will see! Nick and Jane Campbell will be out there then so perhaps some photos to come. 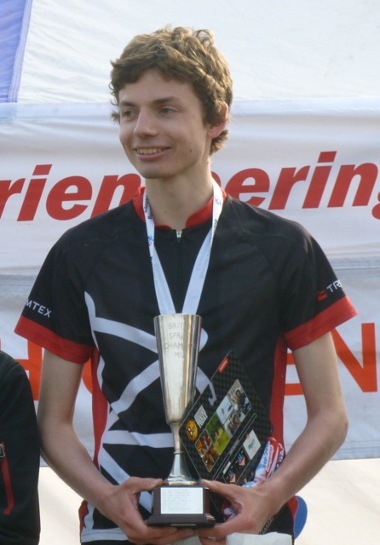 Many congratulations to Lachlan Chavasse on his selection to compete in the World Schools Championship Orienteering in Portugal in April 2013. There are 40 bookings so far. The Youth Hostel is keeping the vacant beds available for us for another month or so, so if anyone else wishes to join us, please contact Mike Smithard (smithardm@btinternet.com) tel. 01244 380565. The weekend will be at Windermere Youth Hostel from 15-17 February 2013. There is a special offer of £12/head B&B. Activities include walking, running, training and the CompassSport Cup heat on the Sunday. See the full details v2 and booking form v2. There has been a small increase in the cost and content of the evening meals since the original announcement. For those who have already paid, we can sort any difference out when we meet or you can send another payment electronically if you have paid that way. Thanks to all Deesiders who helped in any way last weekend, it all went very well. Emails have gone out to you all but with so many, we may have missed someone and emails have gone astray in this event's preparation. My comments going into the printed results will be published here in due course. DEE hosted the British Schools Orienteering Championships and World Schools Orienteering Championships UK selection races in Delamere over the weekend 17-18 November 2012.
and a special round of applause for Jenny Beasant, who iced 1000 gingerbread men with an orienteering kite logo! On Saturday afternoon 170 competitors in the Boys and Girls 14 & 16 age groups competed in a Special Qualifying Event in Delamere North for places in the Great Britain team for the 2013 World Schools Orienteering Championships to be held in April in the Algarve in Portugal. Parking was in the Whitegate (Christmas Tree) car park, with shuttle buses to and from the start and finish. There was also a Training Event, and a Maze course in the Christmas Tree area. 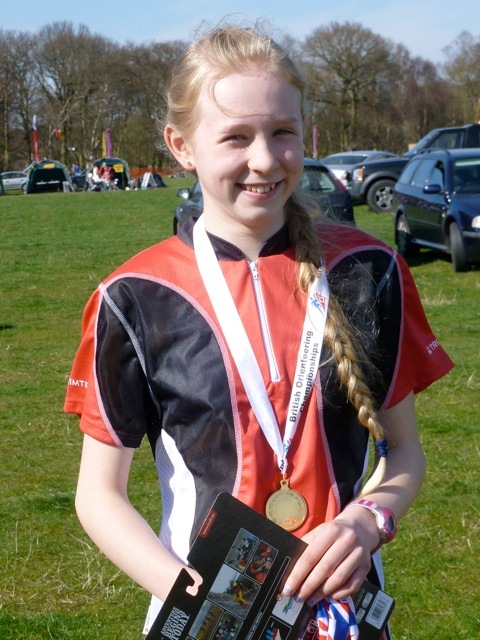 On Sunday 935 competitors from 128 schools around the UK ran in the British Schools Orienteering Championships in Delamere South to compete for both individual and team trophies for school years 5–13. No-one who was there will ever forget the finish arena complete with spectacular run-in, download, map reclaim, commentary, catering, NWJS cakes, first aid and sponsors. Commentary was provided in expert style by Quentin Harding, Nick Campbell and Jon Hateley. We expect them to take over Test Match Special next year. Prizes were presented by our member Chris Smithard, current British Sprint Orienteering Champion and SROC's Quentin Harding, double M50 gold medallist at WMOC 2012. Olly Williams (Sandbach School). Olly ran a fast, accurate race to secure 1st place and become B13 British Schools Champion. Lachlan Chavasse (The Grange School, Hartford) B8 British Schools Champion. Hannah Hateley (Weaverham High School) 2nd in G7. Katie Wilson (Davenham CE Primary School), Deeside’s youngest competitor and a product of the Chester Club Nights, 3rd in G5. Local primary school Mickle Trafford, making their first appearance at the competition, exceeded expectations with a fine 2nd place in the Girls Year 6 Team competition by counting runners Megan Brocklehurst, Elizabeth Goodwin and Isabel Roberts. Well done to them, and to teacher and coach Liz Jackson. One man's lined blue flecked knitted sweater, size large, make Blue Harbour from M&S. Email Jane Mockford (deesidenews@yahoo.com) to claim it. NGOC is again offering the orienteering board game “Forest Challenge” for sale, with profits donated to the Woodland Trust – they have recently given £300. Also on offer this year is a booklet of amusing orienteering reports and poems done in the style of various well-known authors. This is being sold in aid of the S.W. Junior Squad. Details of the game and booklet here. Well done to all four DEE juniors who competed in the Ward Junior Home International in deepest Surrey at the weekend. 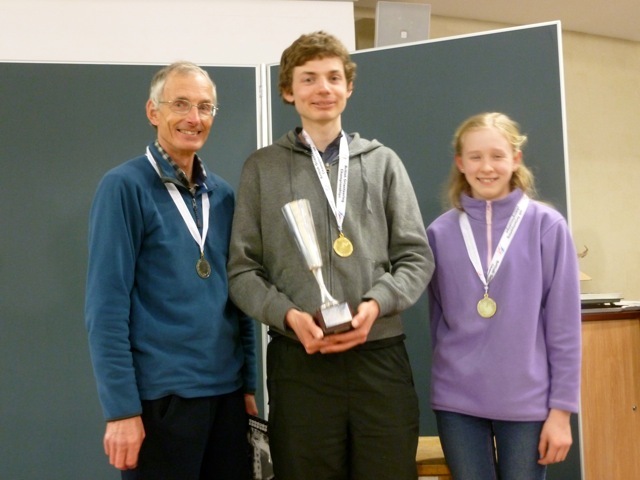 Chris Owens recorded an excellent podium finish in the individual event (3rd in M18) at Headley Heath on Saturday, then went on to captain the England team to overall victory in the relays at Ockham on Sunday. With Ciaran out injured, Niall, Kitty and Nina all contributed towards Wales regaining the Judith Wingham Trophy from Ireland. Nina suffered a bad fall early on in the individual race, but soldiered on with a sore back to score some vital relay points. Good news for DEE as Ciaran Allen joins Olly Williams in the Talent Development Squad. The club Winter Weekend will be at Windermere Youth Hostel from 15-17 February 2013. There is a special offer of £12/head B&B. Activities include walking, running, training and the CompassSport Cup heat on the Sunday. See the full details v2 and booking form v2. Completed booking forms to Mike Smithard (smithardm@btinternet.com) by 8pm on October 21st at the latest please (Club Championship day) to guarantee places. The weather on Sunday was glorious for the first event on Hameldon Hills. Lots of DEEsiders enjoyed themselves; the only disappointment was that the hotpot was a coldpot owing to microwave failure. There was quite a lot of mud around, and one runner collected some to take home. Nick and Jane Campbell ran in the Bri'O Tour in the Paris, France area at the weekend. Three races, including a midnight sprint O in Disneyland - some would call that Mickey Mouse Orienteering. Everything was shut, the lights were off but Disney songs were playing over the PA system. The next Dee News will reveal all about the multiple levels in the caves of the Pirates of the Caribbean zone. Well done Jane for coming 2nd overall in W50+ and winning in Disneyland. Nick and Jane met a new friend. Congratulations to DEE juniors who have been selected to run at the Junior Home Internationals to be held in southeast England on 13-14 October 2012. The Challenge this year was hosted by MDOC at Savio House, Bollington. By all accounts it was an outstanding event in a great location, with superb weather and highly original variations on orienteering - Olly Williams running round carrying a brick comes to mind. Thanks to everyone from DEE who came to the event at Savio House, and helped to make it an enjoyable and sociable occasion. At the event we did some rapid calculations, which involved transferring names and times to a spreadsheet, and I announced the sad news that DEE had won! However one MDOC competitor was inadvertently put down as being from DEE, and a recalculation shows the even sadder news that MDOC have now narrowly won! There may of course be other errors still to be discovered, which could swing the result the other way again. So well done MDOC, and thank you for a superb event. Chris and Dave were selected for this competition and training camp, Dave deciding not to go. After Chris' recent injuries, not sure how hard he was running in the seemingly rough terrain (based on the min/km of the winners). 17 countries sent teams of varying standard and numbers, however good practice against some high class opposition. Sprint race on Friday in Innsbruck saw Chris finish 17th about a minute down. No obvious mistakes from splits, lots of uncrossable features on map so could be easy to be caught in 'compounds'. 2nd Brit behind Kristain Jones who was 4th. Middle distance on Saturday, Chris again 2nd Brit, 4 minutes behind Peter Hodkinson, another 10 behind Lundanes of Norway (top WOC finisher). Todays long race saw him well behind but easy to imagine him worrying about these injury issues esp with a week's training to come. Cat Taylor (BOC sprint champion) was best lady, 2nd in sprint and 5th in long, excellent results. InDEEfatigables finished 6th in this year's Harvester Relays, thanks to some unorthodox training methods. Read Jon Hateley's report. Following an article in CompassSport Magazine the Club applied to Buffera Ltd for prizes to be awarded for winners of the various individual classes in the senior league. Buffera has agreed to provide 40 items of Original BUFF® multifunctional headwear each with a minimum retail value of £13. DEE will be running an Event Safety Workshop at the Catholic High School, Chester on Saturday 8 September 2012 from 10:00-12:45. This is part of the roll-out of the British Orienteering Event Safety Workshop. 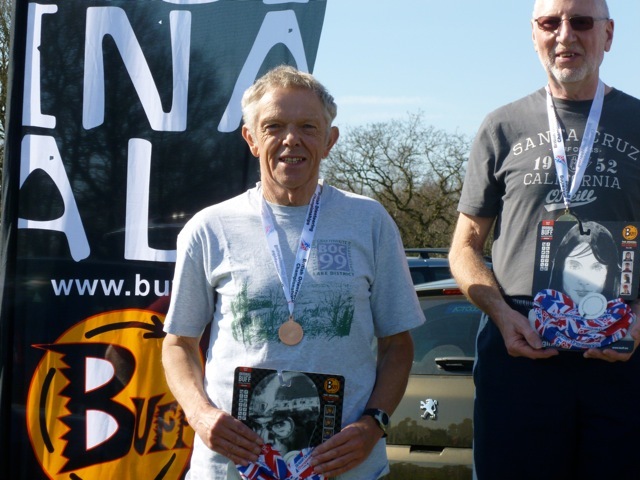 Three DEE members (Norman Hall, Jane Mockford, Mike Smithard) attended one of the original British Orienteering workshops, and all spoke very highly of it. Norman will be leading this workshop, using British Orienteering workshop materials. The workshop includes experience sharing, and working in small groups. So whether you have organised scores of events, or have never organised an event but think you might like to, this workshop is for you. Please send expressions of interest to Bob Elmes (dee@elmes.demon.co.uk) asap. England won this year in Northern Ireland with two Deesiders running - Sara Campbell for England and Andy Allen for Wales. Congratulations on their selection. Photos showing a rather wet Saturday for the individuals - that's the second time in three years. Congratulations to Chris Smithard and David Schorah who have been selected to run in the Euromeet competition for GB within an 11 day training camp in Austria this August. They are 2 of the 7 M21 and 4 M20 men selected who BOF think can improve and challenge for GB team places in the future. Luckily, Chris' Olympic tickets are for the 6th August so he can still make that. DEE's Clubmark accreditation has been renewed, valid until 2016. 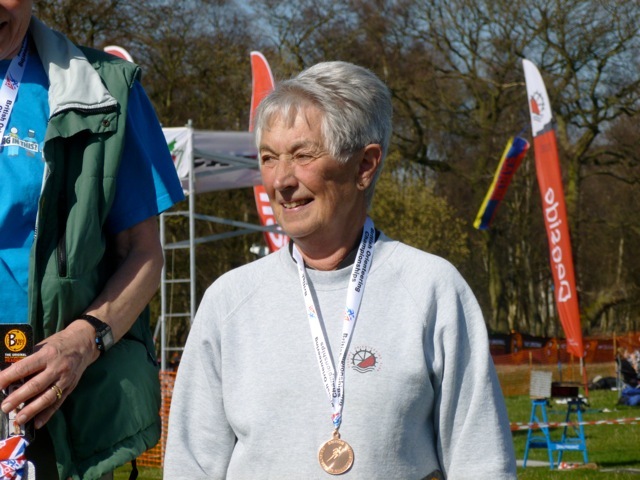 The club's thanks are due to Jenny Palmer who did a lot of hard work in masterminding the submission, which was described as Ed Nicholas, the British Orienteering Development Manager, as "a very comprehensive and well thought out Clubmark folder". Clubmark accreditation demonstrates that DEE provides a well-rounded and supportive environment for orienteers of all ages, backgrounds and abilities whilst providing the necessary resources in the form of events and coaching etc for competitors to improve their skills and contribute to the club. On 20 May 2012 I ran the Sheffield Half Marathon dressed as a pantomime camel with John Rocke. We ran a time of 1hr 40min and have broken the world record for the fastest 2 person pantomime costume 1/2 marathon (still to be authenticated by Guinness). This was the hardest race I've ever done, not helped by the heat but was all in aid of 2 very worthy charities so if you have a moment to spare and feel you can, please visit our justgiving page and donate a little or a lot - Thanks! We hope this heat training will have helped Dave's preparation for the World Student Championships in southern Spain in July (predicted 30' C). Nine Primary Schools from Chester met at Upton High School’s Brookhirst playing fields on Thursday 24 May for an inter-school competition and a second chance for some competitors to complete a white course on their way to meeting the standard to be eligible to run at the British Schools Orienteering Championships in Delamere Forest later this year. Schools fielded teams of three runners and it was great to see some familiar faces from the first competition earlier in May and some keen newcomers. The two white courses had a tricky first section through the school buildings before a fast run around the field perimeter to the final controls. Careful navigation was required due to gaffling of the controls, replicating a competition situation. Congratulations to both Mickle Trafford teams. Special mentions for Duddon, Mickle Trafford and The Arches whose runners all completed their courses accurately with no penalty points. On individual performances, the fastest boy and girl with all controls punched correctly and, therefore, no penalty points were James Chidlow with a time of 9 min 56 sec and Isabel Roberts with a time of 11 min 29 sec, both from Mickle Trafford. Well done to both of them on fast and accurate runs. Thanks to Deesiders Barbara Jones, Duncan Harris and Mike Smithard for their help. Congratulations to Ciaran Allen, Olly Williams & Chris Owens who have been selected for the BOF Talent Development Coaching Camp in the Cairngoms this summer. In spite of this, our member Duncan Harris won the event in a new record time of 4 hours 10 minutes. Well done Duncan. You can read about Helsby Running Club and the event here, and you can see Duncan's nice trophy here. The European Championships start Monday 14 May. You can follow Chris and Dave's progress for the GB team here. Further reports from Club Captain Mike Smithard will appear in the DEEside Orienteering Club at European Championships blog. Check it out for updates. Chris is running the middle distance, sprint and relay and Dave is doing the sprint and relay. The middle distance and sprint qualification races are on Monday and Wednesday with the finals on Thursday and Saturday. The relay is on Sunday. The finals and the relay are live on Swedish TV and via a weblink which they hope will be accessible outside Sweden! Unfortunately, the Sat and Sun clash exactly with the start times at the Twin Peaks. Anyone know how to record live web broadcasts? For weblinks see http://www.orienterare.nu/n/20087. This appears to be a blog - to get it in 'pidgin' English, put the web address into Google or use Google Chrome. Note that time in Sweden is one hour ahead of time in UK. The first 17 in each heat qualify for the A final. With 6 runners from each nation, Chris reckons it will be harder to qualify for the A finals than at WOC. He reckons they will have to finish within a minute of the heat winner to get to the sprint final which, with a clean run, he thinks is attainable as Scott Fraser and Murray Strain are world class and he was just over a minute down on them at the JK and lost time. The sprints are partly in forest and part in urban. Good luck to them and the other Brits. Mike Smithard will be reporting on Chris and Dave's performances on the DEE Euros blog. Ciaran Allen 1st M18E, Chris Smithard 3rd M21E, and more podium places and good runs. Full report from Mike Smithard here. Seven Primary Schools from Chester met at Bishops' Blue Coat High School on Thursday 3 May for an inter-school competition and a chance for competitors to complete a white course on their way to meeting the standard to be eligible to run at the British Schools Orienteering Championships in Delamere Forest later this year. Each school fielded two teams of three runners and it was great to see some familiar faces from last year's competitions and some keen newcomers. Congratulations to Mickle Trafford 1 who just pipped St Oswald's by 2 points. A special mention to Duddon who were the only school to have all 6 of their runners complete their courses accurately with no penalty points. On individual performances, the fastest boy and girl with all controls punched correctly and, therefore, no penalty points were James Cooper with a time of 11min 8 sec and Megan Brocklehurst with a time of 13min 38 sec, both from Mickle Trafford. Well done to both of them on fast and accurate runs. Thanks to Deesiders Sheila and Peter Hills and Mike Smithard for their help. Now that some of the Summer Evening Events have a Short Green course, the Galoppen rules have been changed so that Senior Ladies C and Senior Men C must run the Short Green when available (as opposed to Light Green) in order to qualify. See the amended Galoppen rules for chapter and verse. Great news for two of our younger seniors following their performances this year - Dave Schorah selected for the GB team for the World Student Championships in Spain in July; and Dave and Chris Smithard selected for the GB team for the European Championships in May in Sweden. Dave especially has been consistently up there in the top few in BUSF, BOC sprint and Middle and at the JK. Chris had his great run at the JK sprint and has been consistent though a few places, sometimes by seconds, behind Dave at the other races. These two have been friendly rivals since their M12 days and their commitment to training and improving, despite the setbacks and disappointments they have both had over the years, does them great credit. Full details on the BOF website. Congratulations to both!! I write on behalf of Deeside Orienteering Club in relation to the Forestry Commissions development plans for Delamere Forest. Our club is privileged to hold several events each year in Delamere, which we regard as our most important orienteering area. We understand the Forestry Commission’s need to raise additional revenue from the forest in the light of cutbacks in government funding. From an orienteering perspective the smaller the developed areas of the forest (including roads and bike tracks) and the less fragmented the remainder, the better; on the other hand we appreciate this is a working forest with many competing interests. First and foremost, we feel that the access route for the new cabins is by far the worst option. This will result in a large number of vehicles travelling on tracks through the forest. Even with a gravel surface, speed limits and traffic calming measures, it will bring traffic into close contact with orienteers, runners and other forest users. From a safety perspective, this is highly undesirable. It will also reduce the peace and quiet that so many people come to the forest to experience. Second, we would prefer to avoid any extension of bike trails, also for safety reasons. Bikes travel at high speed and are virtually silent; the larger the area in which bikes are encouraged the more chance there is of a collision with a pedestrian, and particularly with a runner. Third, and on a more positive note, we would support your efforts to introduce speed limits on the existing public roads through the forest. Additionally (though this is not a safety issue) we would ask that the lay-bys along the east-west road through the forest remain open. These are particularly useful for informal training runs; they allow access at all times; and they reduce the clusters of people that would result if a smaller number of car parks were used. On behalf of the club, I would be grateful if you would give these points your consideration when considering the plans further. For the first time for 25 years, a Deesider has won an Elite Gold! 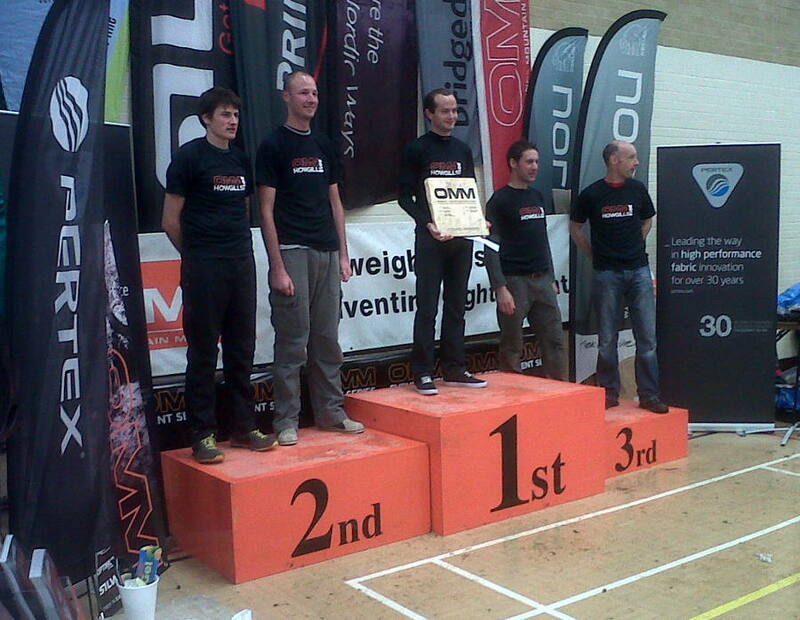 Congratulations to Chris Smithard, British Sprint Elite Champion. Full report on Chris's win and other DEE successes here. British Sprint Champion Chris Smithard with his trophy. Click on him to see more photos of DEE successes. Yesterday, our Club Chairman asked me to pen a short article to raise awareness of the Club's Membership concerning the recently published plans of the Forestry Commission and Forest Holidays for a large development of Forest Lodges, a new Visitor Centre, extensive new Car Parks, Retail Units and several kilometres of new roads in the Forest. Details about the plans can be obtained for the Forestry Commission Website. There have been articles about the plans in several local papers this week including the Chester Chronicle. There is also a website created by a group opposed to the planned development called Communities against Delamere's Destruction. Both the Forestry Commission and Forest Holidays will be on-hand at these sessions to explain and discuss their plans. They have stated that they will try to take account of all views expressed during the Pre-Planning Consultancy Phase prior to submitting their two Planning Applications, probably in May: one for the new Visitor Hub and the other for the Forest Lodge Developments. DEE Members do not need reminding that Delamere Forest is the only Deeside area suitable for Regional Standard Orienteering Events and that a reduction in the forest area suitable for such events could mark the end of Regional Events held in Cheshire with consequential impacts on Orienteering in the County. So please would all Club Members, and especially the Club's Committee Members look at the planned developments and take a view on their possible impact. DEE finished 4th, so miss the final. Congratulations to OD, HOC and Walton Chasers who all go through; and well done to all those who turned out, especially our scorers. Defiant captain claims he has owner's full support. We are holding a short first aid course for DEE members on Saturday morning 17 March in Chester. The course is suitable for new or renewing First Aiders. Cost will be paid by the Club. MDOC are holding the last of their Night Street O events in Lymm on Thursday 15 March. They have suggested that this would be a good one for DEE members to attend; and if we get enough runners, it could become an extra MDOC/DEE Challenge. Please let Pete Owens (chairman@deeside-orienteering-club.org.uk) know asap if you are interested in running. Accomodation is booked at Coalport Youth Hostel in Ironbridge for Friday and Saturday nights at the special winter group rate of £16.95 per person half board or £19.95 full board. That's cheaper than the normal B&B rate for juniors and the bed rate for seniors. All rooms 6 bedded or less, some en-suite. No need to be YHA members. This is at the end of half term for some (possibly all) schools. The youth hostel is a former china works and is next door to the china museum etc. See Ironbridge website and Ironbridge museums website. There will be Walks or runs available instead of museums if you wish. Four down, two to go; best three of six to count. Final event at Arrowe Park. W18- 11-year-old Hannah Hateley ! With three down and three to go, there's everything to play for as the season moves towards its Arrowe Park climax. For full results so far click here. The draw has been published for the CompassSport Cup heat on Sunday 19th February. DEE asked for and have been allocated to the WM heat on Cannock Chase along with 7 other clubs in the Cup and 4 in the Trophy competition. With 8 teams, the top 2 teams will qualify and, if OD are one of them, the 3rd team will also qualify. The other clubs are WCH, LEI, OD, NOC, NGOC, HOC and DVO. The Trophy teams are COBOC, ERYRI, WRE and POTOC. The top 25 scorers count, up to 6 from 2 courses - the men's open and the (M45+ M20-), 4 from the others except the juniors which can count up to 2. M and W14- course is orange, M and W18- course is light green. Yellow and White courses will be provided as well, can pre-enter or eod . With me being away, you have a new co-ordinator - Jon Hateley (jon@thehateleys.plus.com) tel 01606 889267 so don't email me as you won't get a response. Jon will collect names and money (£10 for adults, £2 junior/student, cheques payable to Deeside OC) if not sent electronically to DEE, and then assess if anyone should run up a class to cover any shortfalls. He would then contact you to see if that was OK with you. Early responses to Jon would be appreciated so he has more time to chase people and sort out any running up. Jon has the DEE start time schedule for him to complete so any requests for any particular start time block should be made when contacting Jon. Remind him if you have moved up a class to save him going through the membership list with a magnifying glass to check your date of birth. As the competition is now run by Compass Sport, all the info and the Rules are no longer on the BOF website, they are here. Counters have to be full or local members of BOF so club-only members cannot count. The final is in the Scottish borders on the Tullies' farm (once used for the Harvester), 30 miles north of Carlisle on the 30th September. © 2012 Deeside Orienteering Club.